Every once in awhile you come across an invention so simple, yet so ingenious, you have to wonder “Why didn’t I think of that?”. Well, this is one of those inventions. I don’t do many reviews but I do enjoy doing them for new products that I really believe in…the GCap is one of those products. 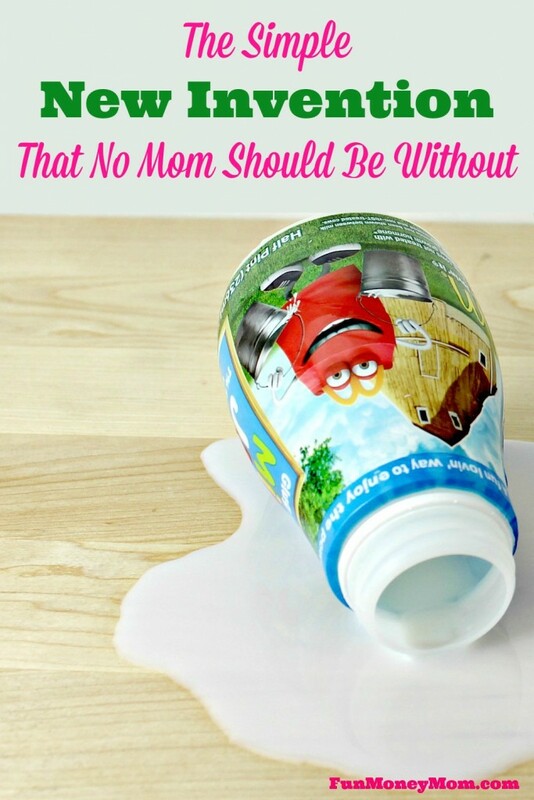 If you’re a mom, you’ll know exactly what I’m talking about! You give your child an open bottle of juice or milk but then can’t relax because all you can think of is the big mess looming in your immediate future. I’ve given my kids drinks when we’re out and about, but watching my 3 year old drink from an open bottle of milk in the back seat sends me into panic mode. It’s hot here in Florida and milk + hot car = one stinky mess! That’s exactly how this product came to be. Nadine Savino is a stay at home mom who found herself in a similar situation but unlike me, she actually did something about it. 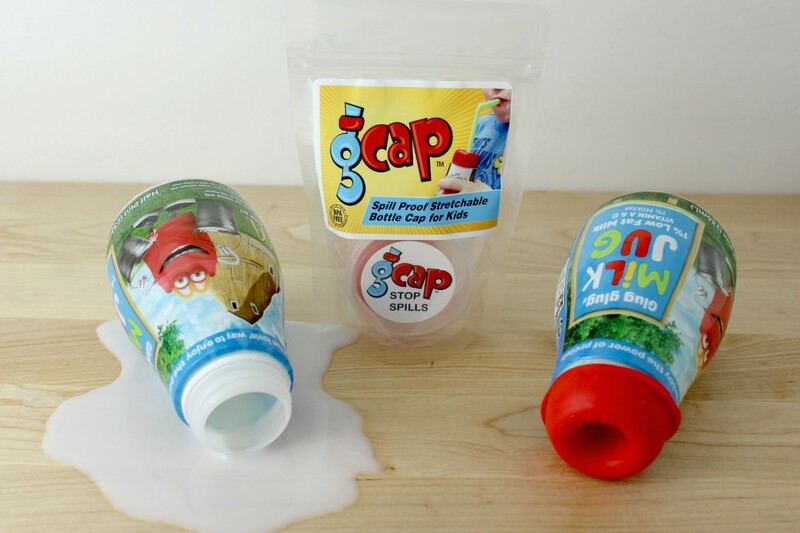 She created The GCap, a simple silicon top that stretches to fit any bottle. 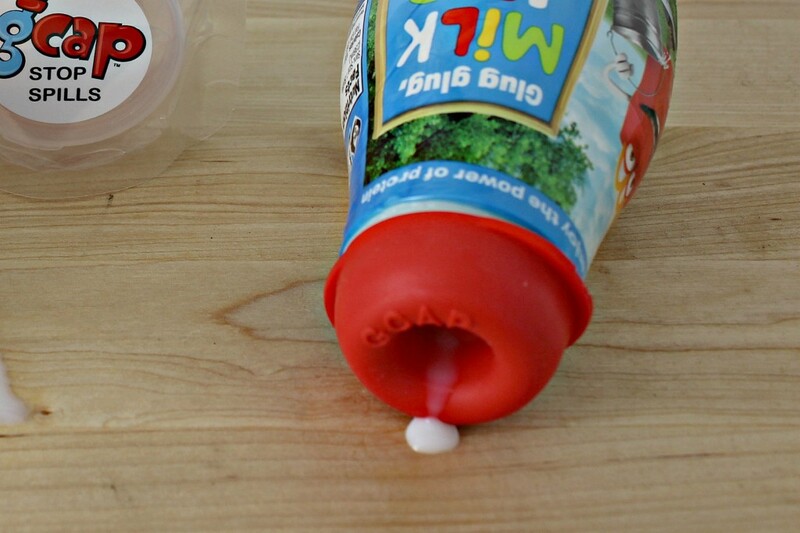 Insert a straw at the top and your child can enjoy his or her drink without you worrying about the fact that you forgot to bring an extra change of clothes! I jumped at the chance to try this product out for myself because I wanted to see how well it really worked. I’m a big fan of anything that can make my life more stress-free and I’m happy to say that it really does work. Now when you give your child that container of milk or juice, you’ll have some piece of mind. Now it’s not completely fool-proof. If a bottle is left laying on its side for an extended period of time, it will leak and eventually you may have a little puddle. However, it would have to go unnoticed for awhile and you’ll never get a mess even close to the one on the left. This is what happened after several minutes of photography and the milk still came out very slowly. I don’t know about you but I’ll take this over the alternative any day! I’m never leaving home without these in my purse again! You can also check out a live demonstration on Good Morning America, where the GCap was recently featured (you’ll find it about the 2:25 mark). What do you think of this new invention? If you’re the mom of a toddler, how excited are you to try these? What a smart invention. I can’t wait to try it…I’ve been the victim of fast food milk bottles more than once. It’s an awesome invention…I wish I would have thought of it myself! I have two and I’m keeping them in my purse at all times…love them! That’s brilliant! No way would I trust my almost three year old with an open drink ANYWHERE! This is genius! I would love to try this out with my kids. Thanks for the opportunity! You’ll love it! I’ve only had them a few weeks and use them all the time! Thanks so much for visiting! That is AWESOME. I have a toddler and infant and sometimes the toddler carries her cup around the house. Hours later we find milk droplets throughout the house. This would be great! You’ll love them! As soon as I heard about these, I knew they would be awesome and they really are! We just drove through McD’s the other day and I had no worries when my daughter was drinking her milk in the back seat!!! Ingenious! I wished I had these when my boys were toddlers! They really are! I wish I would have thought of them myself! Thanks so much for stopping by! Thats a brilliant idea! Im based in the UK, I hope they supply them here. I will be keeping an eye out! I’m sure that if you can’t get them now, you’ll be able to eventually. I really have a feeling these are going to be huge! I normally poke the straw through the foil if the bottle has it, but sometimes that is a pain (and not an option if there isn’t any). This is such a good solution! That’s a great idea too…not sure why I didn’t think of it! Thanks for sharing! That is pretty brilliant and oh so useful! 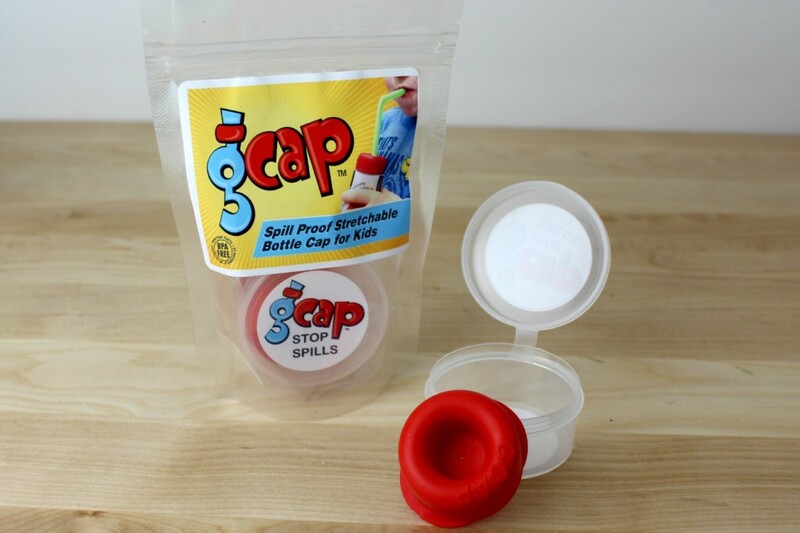 Anything to help avoid spills is a great invention indeed. I know! As soon as I saw it, I knew I had to have one! I actually have two and take them with me everywhere!